PUBLIC servants in the Yanepa provincial government building in Goroka, Eastern Highlands, fled their offices soon after arriving for work yesterday morning after police fired three shots in the car park. Many shops in Goroka town’s main business centre closed and members of the public moved out of the area. Police fired shots to disperse rowdy supporters of Eastern Highlands administrator Samson Akunai and Governor Peter Numu during a stand-off at the car park at around 10am yesterday. Akunai said he had not been told of a team brought in to investigate the operations of the province. He was not informed of the investigation either, he said. “If there was going to be an investigation, I as the chief executive officer of the province should have been informed and terms of reference (TOR) should be made available to me,” he said. Akunai said he did not receive any notification from the auditor-general’s office or the police. He said he was surprised to learn of the investigation when security guards removed a private investigator from the Treasury Office. “I am in a public office and I am ready to welcome any investigation only when it comes through the proper procedures. What are the TOR for this investigation to be carried out? I, as the chief executive officer in the province, am not aware of it,” Akunai said. 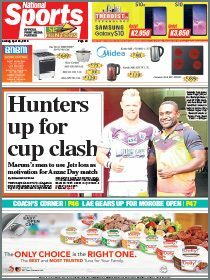 He said the timing for the investigation was wrong because an Eastern Highlands judicial recount of the Goroka open seat was on and the election petition for Governor Numu was going through a court process. 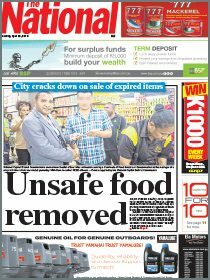 Numu said the auditor-general had sent the investigation team from Port Moresby, but was stopped from doing its job. “The investigation will be stopped only through a court order. If Akunai wants to stop it he has to go to the court or the police,” Numu said. He said he was on his way to the office and was telling the security guards to make sure the provincial government building was kept safe at all times. He said as he was talking when Akunai confronted him and a near-confrontation ensured as supporters became rowdy so police looking after the area fired three warning shots to disperse the crowd. Numu said when his supporters heard of the incident, they went into town in four vehicles, circled the town, became angry but returned. The re-count of the Goroka open seat is nearly completed. At the same time, a court in Goroka is hearing a challenge against Numu’s election last year.